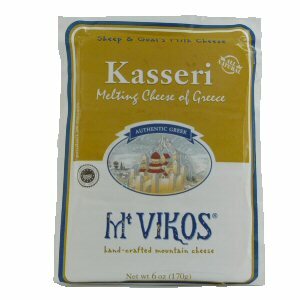 Kasseri is the melting cheese of Greece. 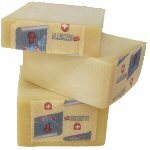 Kasseri is made only in the months when the milk is creamy and sweet, making the cheese consistently rich. After the curd is warmed, it is hand stretched and kneaded and then put into special molds. The cheese rounds are placed in special aging rooms for 6 months. The flavor continues to develop and improve even after it has been packed. Mt. 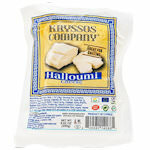 Vikos Kasseri is made from fresh milk of free-ranging sheep and goats. 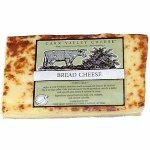 The texture of the cheese is firm and creamy and the flavor is rich and buttery. 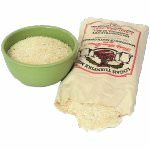 Kasseri is a fine table cheese, and excellent when melted in sandwiches, omelets, pizza, and casseroles, grated onto vegetables and/or pasta. 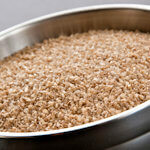 Ingredients: Pasteurized sheep and goat's milk, sea salt, rennet, cheese culture.